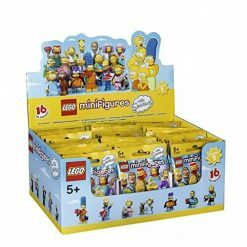 So after 12 whole Months LEGO finally graced us with a 2nd series of the super popular Simpsons Minifigures range. With the addition of a few much loved characters such as Comic Book Guy, Patty, Selma, Smithers and Groundskeeper Willie the Simpsons hype was back again! 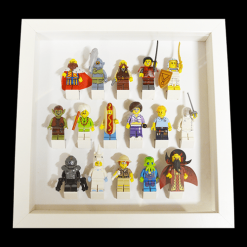 The Simpsons Series 2 contained 16 more Minifigures, but not all were so unique! Some collectors felt that Homer, Marge, Lisa and Maggie were a little to similar to the original series characters, But it didn’t take long for collector to overlook this and add them all to their collection. 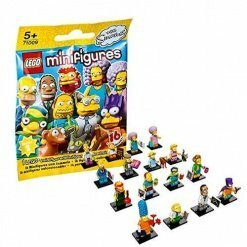 Simpsons Series 2 contained the following 16 Minifigures: Bartman, Comic Book Guy, Dr Hibbert, Edna Krabappel, Groundskeeper Willie, Hans Moleman, Homer, Lisa, Maggie, Marge, Martin Prince, Fallout Boy (Millhouse), Patty, Professor Frink, Selma and Smithers.